When I first joined this comm a couple of years ago, it was such a fun, friendly, active community. But as time went on, the numbers of posts and comments dwindled. In fact, recently I looked around and realized that the only person still posting was me! Recognizing that moving on to new interests is a fact of fannish life, I want to thank the mods of _fcbarcelona_ sincerely for creating such a fantastic community in honor of my favorite team. This will be my last post here. I am founding a new LJ community, som_i_serem, and I hope that all of you who are still interested in reading and talking about Barça will join us there for match posts, team news, and much more. So long, and thanks for the wonderful memories! After a few weeks of rumours and some Guillem Balague "exclusives" (at least I'm guessing so, he's blocked me so who knows), Alex Song has signed for the next five years, for a fee of 19m Euros. APPARENTLY OUR GIRLS WON THE LEAGUE AND I FORGOT TO SPAM YOU ALL WITH CELEBRATORY PHOTOS. RECTIFYING THIS POSTHASTE. To set the scene: Barça Femenino went into the final match of the season, at home against mid-table Sporting Huelva, three points ahead of Athletic Bilbao, but with a negative head-to-head against the Basques (who lost only to Barcelona, and that away, all season long, so they weren't likely to do any favors to Barça and drop points in their last match), so they had to get at least a point to win the league. And you would think this would not be very difficult, considering that Barcelona have never even drawn, let alone lost, at home all season long, but these things have a way of complicating themselves (ask any Manchester City fan, amirite). 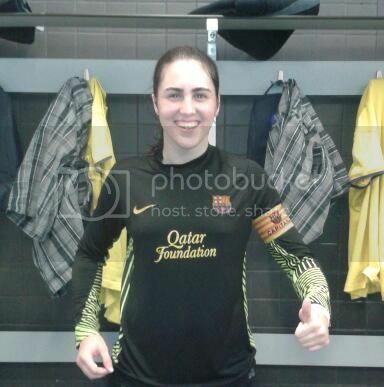 So thank god for Marta Corredera, who scored just after halftime to give everybody's nerves a rest. The scoreline remained 1-0 until the end of the match, when the party began! There's a bunch of links about the match/league win, including to an English match report, over at Futfem in English, so I'm going to skip all that and go straight to the fun part: PICSPAM TIME!!! 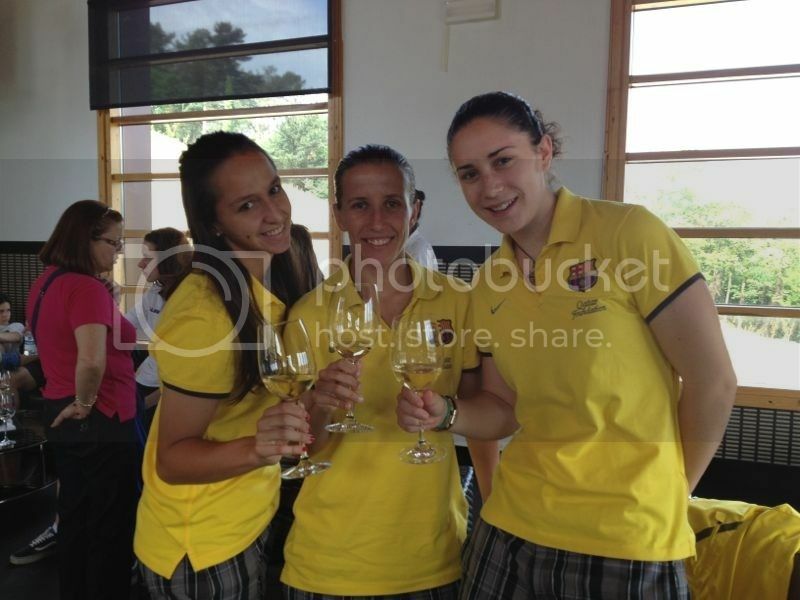 You know who else won the league and deserve some congratulatory picspamming up in here? Barcelona Femenino Juvenil-Cadete! And then, because there is no rest for the flawless, the ladies were off to the Basque Country to compete in the Torneo de Getxo, which is an exhibition tournament mainly significant for the fact that Basque berets are involved in the trophy ceremony. Very serious business! Which totally explains why most of the weekend's twitpics involved booze, tapas or both. 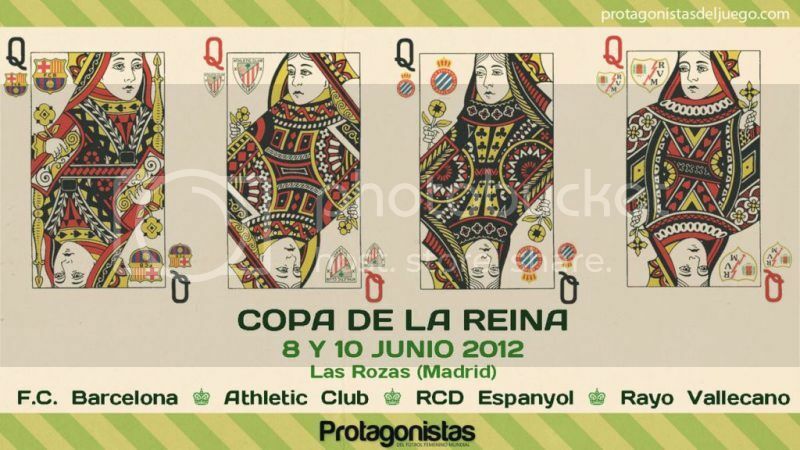 BY THE WAY, DID YOU KNOW THE COPA DE LA REINA IS THIS WEEKEND? WE'RE PLAYING ATHLETIC IN THE SEMIFINALS. STAY TUNED IF YOU ENJOY HEARING A WOMAN ATTEMPT TO CONVEY EMOTIONS VIA THE INTERNET WHILE SIMULTANEOUSLY CHEWING OFF ALL HER FINGERNAILS AND PULLING OUT ALL HER HAIR. You may have heard it already, Abidal is planned to have a liver transplant in the upcoming weeks. 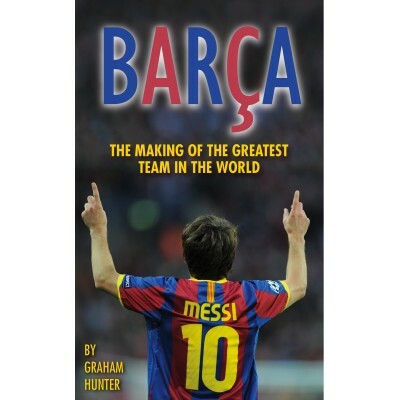 As you all may know already, there's a great book about Barcelona just came out a few weeks a go called Barça: The Making of The Greatest Team in The World, written by renowned journalist Graham Hunter. If you have purchased the book, do visit our book discussion thread over here and have a chat with other members about what's going on in the book. Barça: The Making of the Greatest Team in the World is published by BackPage Press. It is available now in print and digital editions from Amazon, iTunes and www.backpagepress.co.uk. And guess what? We have good news! We are holding a contest to win one signed copy of Barça: The Making of The Greatest Team in The World! All you have to do is follow the rules and answer the puzzle! 2. Contestants have to be a member of _fcbarcelona_with at least 10 comments posted. 3. Contestants have to have a full name, a valid email and a complete mailing address submitted in their entry. To be able to win the signed copy, you have to deduce 3 simple ditloids. What is a ditloid? "A ditloid is a type of word puzzle, in which a phrase, quotation, date, or fact must be deduced from the numbers and abbreviated letters in the clue. Common words such as 'the', 'in', 'a', 'an', 'of', 'to', etc. are not normally abbreviated." Ditloid: PG b B c in 2008. 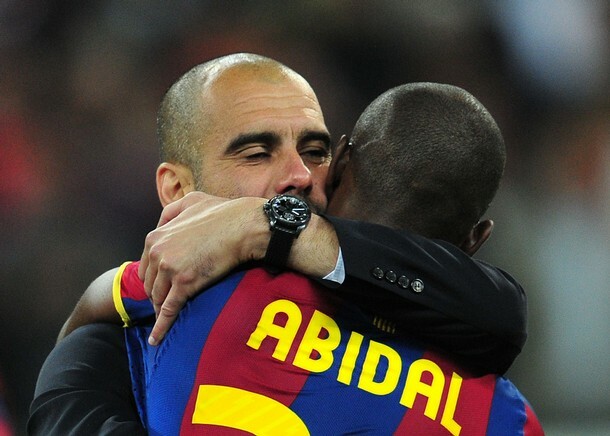 Deduction: Pep Guardiola became Barcelona coach in 2008. Ditloid: B w the 2011 C L a M U in W with g f M V P.
Deduction: Barcelona won the 2011 Champions League against Manchester United in Wembley with goals from Messi, Villa, Pedro. As you can see capitals indicate a name, a major event/competition, a place (anything that needs capitalization). 1. 4 p with 100 g for B are LM SE LK and CR. 2. B b the 1st c in h to w 6 t fr 6 co in LL, CdR, CL, SSC, SC, and CWC in 2009. 3. YT LM BK and XH s in the CDRF a AB. Comment with your answers and your details -- comments will be screened so only us can see it. Winner will be selected randomly from a pool of contestants with the right answers. VV, Montoya, Piqué, Puyol, Abidal, Iniesta, Busquets, Cesc, Alexis, Messi, Pedro. Valencia: Alves, Miguel, Rami, V. Ruiz, Mathieu, Albelda, T. Costa, Feghouli, Jonas, Piatti, Soldado.